Beautiful Antique American Rag Rug. 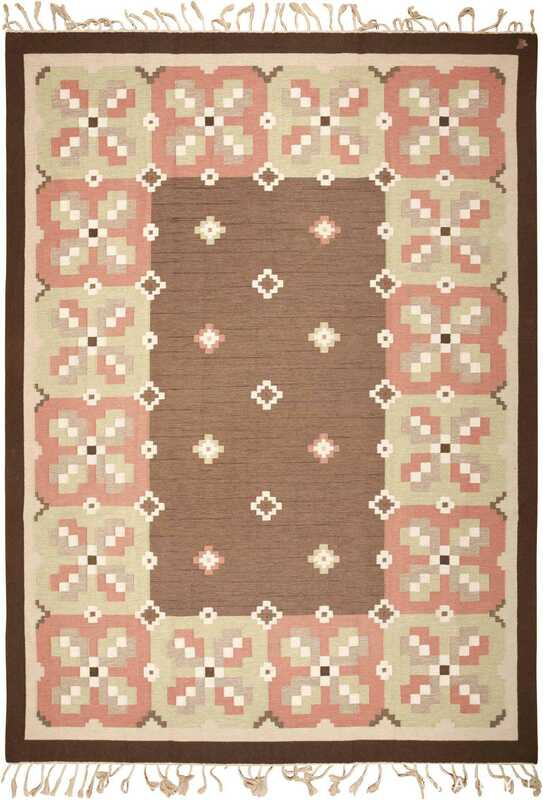 Country of Origin: America, Circa Date: Early 20th Century – This antique American rug, a beautiful rag rug is unique because of the earth tone colors chosen to represent its patterns. A smooth and elegant gradient is established between the different colors of this antique American rag rug to create a vibrant and almost electrically glowing effect. The transition from darker colors into lighter ones results in a textured look that transforms the entire antique rug. The way the brown elements fade into the brighter colors of red, blue and green results in a gem-like appearance, as if wooden logs are inlaid with shimmering jewels. 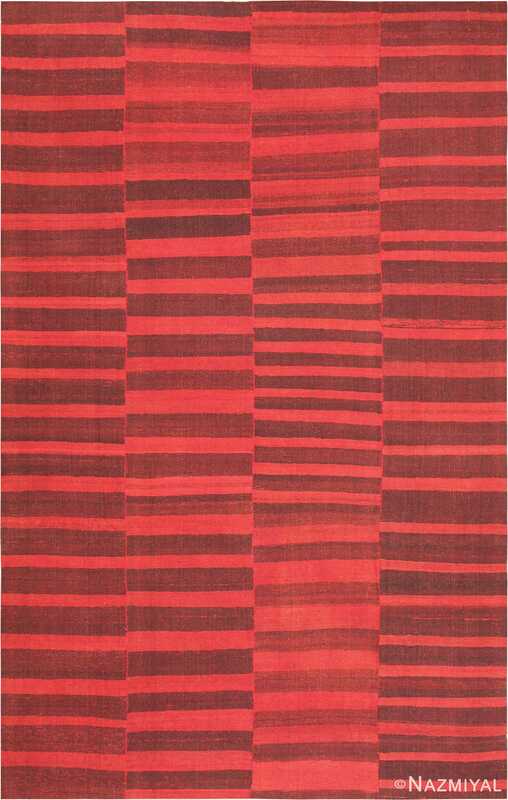 The antique rag rug’s pattern is repeated several times horizontally, creating a stacking effect. 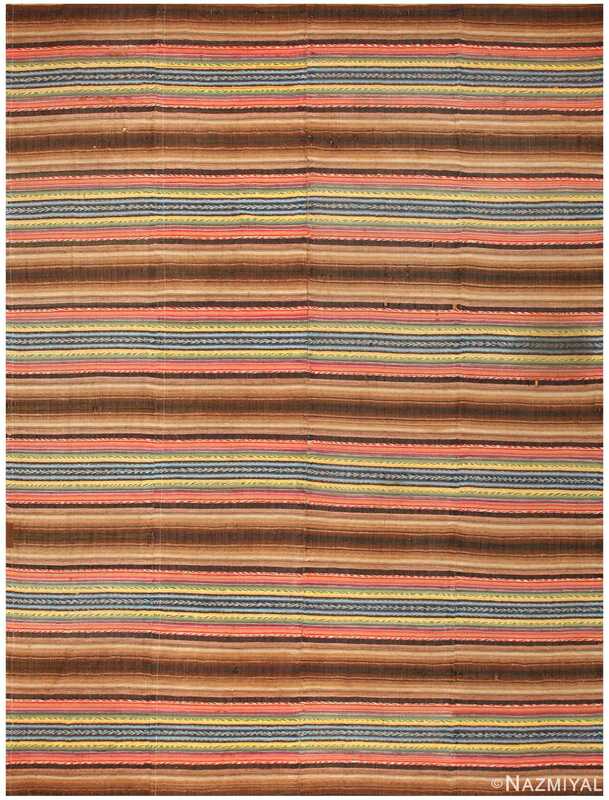 Tantalizing op-art stripes and creative patterns adorn this paradoxical antique Mazandaran kilim, which displays rustic roots and a modern personality.